The first hat was done before the first week ended! I feel triumphant! If I keep up this pace I'll definitely be able to knit ten hats! 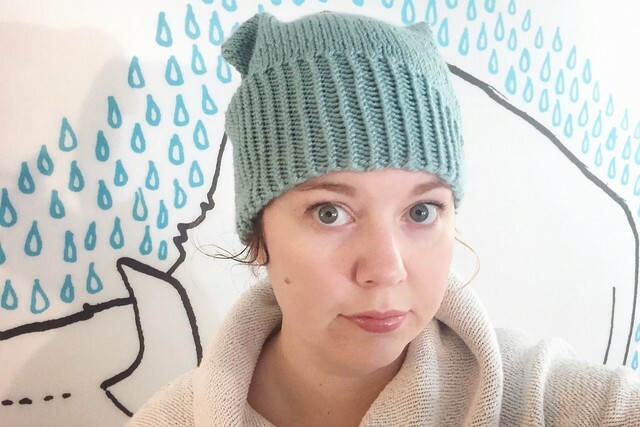 This hat was a very quick knit and really easy to remember. 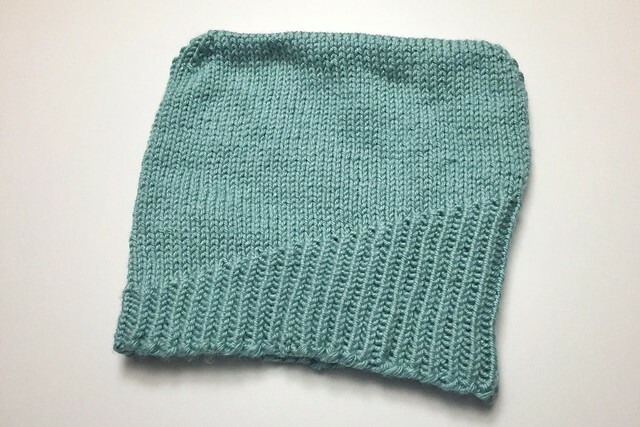 The pattern is Sea Folk by Jennifer Lysen and I used a partial skein of Red Heart Soft Solids to knit this up. I did knit an extra decrease row before binding off to use up a little more of the yarn; getting rid of as much yarn as possible.